Waterproof Sports Bluetooth Headphones Just $11.11! Down From $50! You are here: Home / Great Deals / Amazon Deals / Waterproof Sports Bluetooth Headphones Just $11.11! Down From $50! Don’t miss this amazing deal from Amazon! 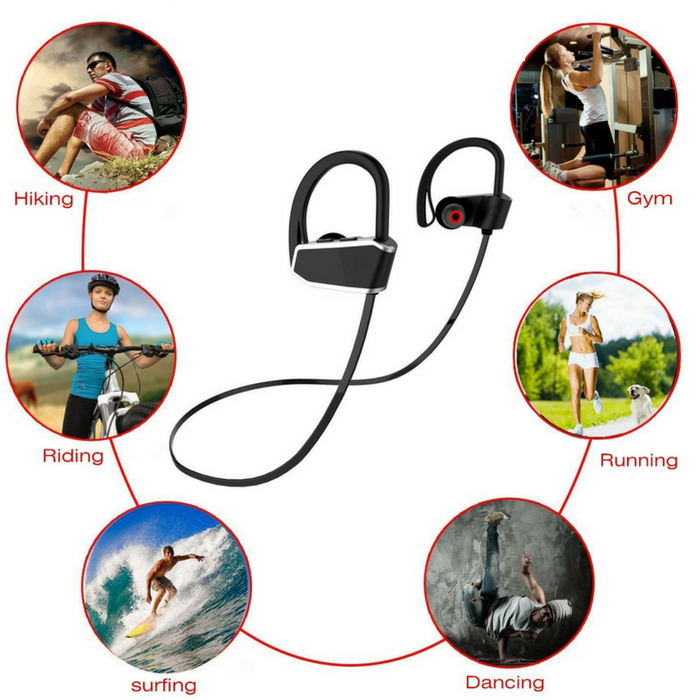 Get this IPX7 Waterproof Sports Bluetooth Headphones for just $11.11, down from $49.99 PLUS FREE shipping for Amazon Prime or orders $25 or more! Enjoy your music life with the IPX7 Waterproof Sports Bluetooth Headphones! Designed for audiophile, the IPX7 Waterproof Sports Bluetooth Headphones lets you enjoy HIFI stereo sound with high definition and unparalleled rock-solid bass with ultra-crisp treble. It is equipped with Bluetooth V4.1 that can go wirelessly up to 30 feet. Plus, it is waterproof and sweatproof to make your workout routine more enjoyable! With Bluetooth V4.1 skip-free wireless up to 30 feet. Can connect with up to two smartphones at once.